After a prolonged legal dispute, the homeowners association and developer of these 40 buildings on the hillside of Cougar Mountain retained Amento Group for a resolution. Our team began by conducting an extensive investigation, providing repair recommendations and budgets, and assisting both parties during a negotiated resolution of the claim. 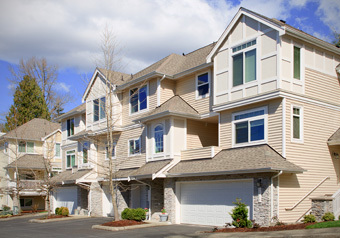 All buildings underwent full siding re-clad and remediation. During construction, Amento Group analyzed and prioritized repairs—presenting plans for a vote before funding, proceeding with bid documents, and then soliciting bids. Our architectural department modified waterproofing details to improve the building enclosure’s integrity, and inspection services throughout the project focused on quality conformance with plans and identified areas requiring additional detailing.